As we get older, loose skin above the eye and brow area becomes noticeable. The brows look heavy and the eyelid skin gets loose. A solo or combination of non-surgical treatments can significantly improve the appearance of the brow and eye area by lifting the brow and addressing the sagging skin around the eyes. The result is a refreshed, more youthful appearance—surgery-free. 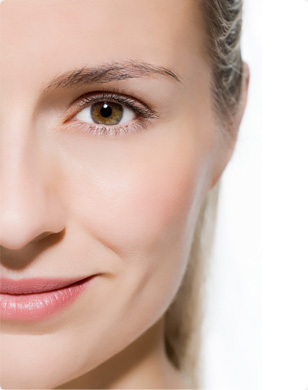 Ultherapy is a non-surgical treatment that uses ultrasound to tighten the collagen and lift the skin around the eyes. After one treatment, some people may see the improvement immediately. For others, the results appear gradually over 2-4 months after treatment, and continue to improve for six months. Fractional Resurfacing can be done to the skin wrinkles around the eye. This laser creates collagen to tighten loose skin around and below the eye, especially helping the wrinkles that don’t improve with Botox®. What about injection treatments or fillers? Botox® treatments to the area between the eyebrows and to the crows feet area can open up the eyes and improve heavy eyebrows. These treatments relax the muscles that pull the brows downward, lifting the brows and opening up the eyes. Fillers injected directly into eye wrinkles can be used, a treatment that is best when combined with small amounts of Botox®. Dr. Barba has a special technique for eye wrinkles that combines fillers and Botox®. Come in and see us to learn about this amazing approach.